Q&A: Disposable Laryngoscopes: Should We Use Them? Conference Reports: Drug Diversion in the Anesthesia Profession: How Can the Anesthesia Patient Safety Foundation Help Everyone Be Safe? Five billion people do not have access to safe, affordable surgical and anesthesia care when needed. The World Health Organization-World Federation of Societies of Anaesthesiologists International Standards for a Safe Practice of Anesthesia (the Standards), published in June 2018, provide a framework for defining and measuring safe anesthesia care. The SAFE-T Summit series, convened by the World Federation of Societies of Anaesthesiologists and the Royal Society of Medicine, provide a forum for reviewing and advancing progress on addressing this important gap in global healthcare. The following article is a summary of the World Health Organization (WHO) and World Federation of Societies of Anesthesiologists’ (WFSA’s) “Standards for a Safe Practice of Anesthesia” that was approved by the World Health Assembly in 2018. These standards supplement the 2015 WHO Resolution 68.15, “Strengthening Emergency and Essential Surgical Care and Anaesthesia as a Component of Universal Health Coverage.” The article includes a significant verbatim portion of the report. We are publishing this article because of the impact of the WHO standards on anesthesia care and patient safety worldwide. It is provided for information, education, and discussion. Its content does not imply or reflect the opinion of the APSF. The APSF remains dedicated to its basic vision that no one shall be harmed by anesthesia care. We believe that all anesthesia professionals, regardless of their titles and training, play vital roles in providing safe anesthesia and perioperative care. We respect all anesthesia professionals and their important contributions to anesthesia patient safety. Convened to address global anesthesia safety standards, the first SAFE-T Summit was hosted by the World Federation of Societies of Anaesthesiologists (WFSA) and the Royal Society of Medicine (RSM) in April 2018 to review progress since the launch of the Lancet Commission’s report three years earlier at the same venue. The SAFE-T Summit grappled with the question of measurement and its importance in monitoring and driving improvement in global surgery, obstetrics, and anesthesia. Following from this, the World Health Organization-World Federation of Societies of Anaesthesiologists (WHO-WFSA) published the International Standards for a Safe Practice of Anesthesia (“Standards”) in June 2018.2,3 These Standards remind us that “World Health Assembly resolution 68.15 recognizes access to emergency and essential anesthesia and surgical care as an integral part of universal health coverage,” and, therefore, assert at the outset that “access to safe anesthesia for essential surgery is a basic human right and should be available to all patients irrespective of their ability to pay.” The Standards are applicable globally, but this document is most relevant to those parts of the world where millions of patients either do not have access to anesthesia care, or when it is available, face rates of mortality many hundreds or thousands of times higher than those in high-income countries such as the United States.4 These important opening statements in the Standards set the context for measuring safe anesthesia care. The current Standards, developed by a multinational, gender-balanced workgroup representing high-, middle-, and low-income countries, build on two previous standards documents endorsed by the General Assembly of the WFSA, but this is the first time these standards have been endorsed by the WHO. The language of the Standards is therefore aligned with that of the World Health Organization (WHO), notably in the use of the terms HIGHLY RECOMMENDED, RECOMMENDED, and SUGGESTED to denote three levels of standards. HIGHLY RECOMMENDED standards are “the minimum expected” and are, in effect, mandatory. The Standards are explicit about this, stating that if these cannot be met, then “the provision of anesthesia should be restricted to procedures that are essential for the immediate (emergency) saving of life or limb.” It is, therefore, useful to reflect on a selection of these mandatory standards. The Standards provide definitions of general anesthesia, levels of sedation, and of the WHO levels of health care facilities. There is considerable variation in the terminology used for different levels of health care facilities around the world, and the document states that it is the type of surgical cases done in the facility that determine the level of the Standards that should apply, rather than the facility nomenclature used by any particular country. This provides a context for the allocation of resources in line with the three levels of the Standards, although it is made clear that the goal should always be to practice to the highest level possible. The first requirement mandated by the Standards for safe anesthesia care is the continuous presence of an appropriately trained and vigilant anesthesia professional. It is therefore unacceptable for a single anesthesiologist, without other assistant providers, to administer concurrent anesthesia in multiple operating rooms as reported anecdotally around the world. Such practice breaches the first principle of safe anesthetic practice. For example, there is little value in automated or electronic monitoring if a trained anesthesia professional is not present. The mandatory use of an oximeter is in addition to the continuous presence of a trained and vigilant anesthesia professional. In considering the question of how to define a “trained” anesthesia professional, the Standards recognize that many anesthetics are administered by non-anesthesiologists with various levels of training, professional background, and competency. Definitions are provided for the terms used to describe the variety of anesthesia professionals that work with anesthesiologists in meeting the global demand for safe anesthesia. For all types of professionals, “Formal training in a nationally accredited (postgraduate) education program and documentation of training is HIGHLY RECOMMENDED.” Nevertheless, the WFSA views anesthesia as a medical practice, because of its complexity and potentially hazardous nature. 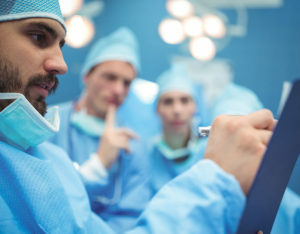 Therefore, these WHO-WFSA Standards state that “its safe provision requires a high level of expertise in medical diagnosis, pharmacology, physiology, and anatomy, as well as considerable practical skill” and “wherever and whenever possible, anesthesia should be provided, led, or overseen by an anesthesiologist,” where anesthesiologist is defined as a “graduate of a medical school who has completed a nationally recognized specialist anesthesia training program.” However, the WFSA has issued a statement recognizing that the global gap in access to safe anesthesia care cannot be closed in the foreseeable future by anesthesiologists alone. The importance of teamwork in safe anesthesia and surgery is emphasized. Irrespective of the anesthesia team’s composition, patients surely have the right to expect their anesthesia professionals to have successfully completed formal anesthesia training schemes approved by their governing bodies and aligned to the realities of each country. Furthermore, the authors of the Standards encourage those countries who currently use the term “an(a)esthetist” to denote “anesthesiologist” to adopt the universal categorization of the terminology of “anesthesiologist” proposed, in the interests of standardization. We believe that a single global terminology will contribute to communication with governments and other funding and regulatory agencies and will assist advocacy for the urgent need to address the massive global gap in anesthesia professionals in ways consistent with the mandatory requirement for oversight and leadership by anesthesiologists, outlined above. Over 20,000 pulse oximeters, supported by considerable training and advocacy, have now been distributed through the efforts of these organizations supported by the American Society of Anesthesiologists and many other anesthesia societies and colleges, notably those from the UK, Canada, Australia, and New Zealand. At the same time, a second group advanced the contrasting perspective that the Standards should have gone further and mandated capnography as well. These commentators argued that the many avoidable deaths associated with undiagnosed esophageal intubation and other ventilation problems are best detected by the continuous monitoring of carbon dioxide. There has been much interest, especially in low- and middle-income countries, regarding the WHO-WFSA Standards and in some countries the national anesthesiology society has submitted them to the ministry of health with a request for formal national adoption. The WFSA has also produced an associated checklist tool, the Anesthetic Facility Assessment Tool (AFAT), that allows local, regional, and national inventories of compliance with the Standards and helps to identify gaps that need to be filled.8 At this time, attempts are being made to integrate AFAT into the WHO Service Availability and Readiness Assessment (SARA) that will be the repository for global health data at WHO, further emphasizing the need to engage health ministries in regular and timely data collection, including all anesthesia indicators. In setting the goal of 20 surgical, anesthetic, and obstetric physicians per 100,000 population by 2030, the Lancet Commission was not explicit about how many of these should be anesthetic physicians. In 2017, Kempthorne et al. estimated that over 136,000 additional physician anaesthesia providers would be required to achieve a minimum density of 5 per 100,000 population globally.9 As indicated, it is clear that the gap in anesthesia professionals will only be closed by training large numbers of nonphysician anesthesia clinicians as well as large numbers of anesthesiologists. The relevant HIGHLY RECOMMENDED Standard is the requirement for an accredited national training program in each case. Investment ensuring that such programs are available for all countries is urgently required. The current goal for perioperative mortality (defined as “all-cause death rate before discharge in patients who have undergone a procedure in an operating theatre”) relates to establishing the capacity to measure and report this nationally. This is a critically important outcome measure, but it will be challenging to meet the target in the proposed time frame and difficult to interpret data in the absence of explanatory information on case-mix and context. Dr. Merry is professor of anesthesiology at the University of Auckland and works clinically at Auckland City Hospital, Auckland New Zealand. Dr. Johnson is head of the World Health Organization’s (WHO) Emergency and Essential Surgical Care (EESC) Programme in Geneva, Switzerland; the World Federation of Societies of Anaesthesiologists has official relations with this programme. Dr. Mets is a professor and chairperson of the Department of Anesthesiology, Pennsylvania State University, Hershey, PA.
Dr. Morris is a clinical senior lecturer in the Department of Anaesthesia, University of Otago, Christchurch, New Zealand. Dr. Gelb is distinguished professor (emeritus) in the Department of Anesthesia & Perioperative Care, University of California San Francisco, San Francisco, California. Dr. Merry has financial interests in SAFER sleep LLC, is treasurer of the World Federation of Societies of Anaesthesiologists, and is on the UK Board of Trustees of Lifebox. Dr. Johnson has no conflicts of interest to declare. Dr. Mets is director of Partnerships for the World Federation of Societies of Anaesthesiologists. Dr. Morris is director of Programmes of the World Federation of Societies of Anaesthesiologists. Dr. Gelb is secretary for the World Federation of Societies of Anaesthesiologists, and a consultant at Masimo Inc. The information provided is for safety-related educational purposes only and does not constitute medical or legal advice. Individual or group responses are only commentary, provided for purposes of education or discussion, and are neither statements of advice nor the opinions of APSF. It is not the intention of APSF to provide specific medical or legal advice or to endorse any specific views or recommendations in response to the inquiries posted. In no event shall APSF be responsible or liable, directly or indirectly, for any damage or loss caused or alleged to be caused by or in connection with the reliance on any such information. Meara JG, Leather AJ, Hagander L, et al. Global surgery 2030: evidence and solutions for achieving health, welfare, and economic development. Lancet. 2015;386:569–624. Gelb AW, Morriss WW, Johnson W, et al. World Health Organization-World Federation of Societies of Anaesthesiologists (WHO-WFSA) international standards for a safe practice of anesthesia. Anesth Analg. 2018;126:2047–2055. Gelb AW, Morriss WW, Johnson W, et al. World Health Organization-World Federation of Societies of Anaesthesiologists (WHO-WFSA) International Standards for a Safe Practice of Anesthesia. Can J Anaesth. 2018;65:698–708. Walker IA, Wilson IH. Anaesthesia in developing countries-a risk for patients. Lancet. 2008;371:968–969. Funk LM, Weiser TG, Berry WR, et al. Global operating theatre distribution and pulse oximetry supply: an estimation from reported data. Lancet. 2010;376:1055–1061. Lipnick MS, Mavoungou P, Gelb AW. The global capnography gap: a call to action. Anaesthesia. 2018:doi: 10.1111/anae.14478. [Epub ahead of print]. Anesthesia Facility Assessment Tool. https://www.wfsahq.org/resources/anaesthesia-facility-assessment-tool.Accessed December 6, 2018. Kempthorne P, Morriss WW, Mellin-Olsen J, et al. 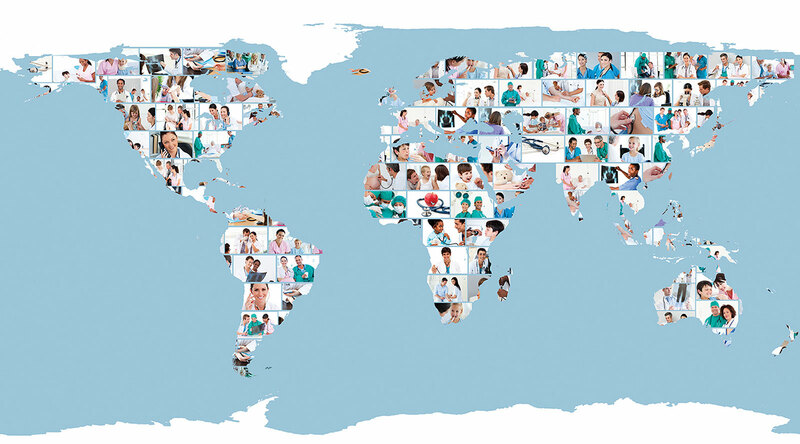 The WFSA global anesthesia workforce survey. Anesth Analg. 2017;125:981–990.